Below are the cute pencils that I have in my husband's mug, I used it as a pencil holder hehehe. I bought the one with disney characters a couple of years ago for Ms. Burrito but she never used it. The aqua characters were given to me by a thoughtful online friend, Mel of Heart content of a Mama". The one with anime character was from Korea. Wishing you a great weekend everyone! Please join us at Ms. Burrito's blog for Color Connection tomorrow. I have mentioned on my other site that hubby bought us a pair of running shoes online. The very first pair of shoes he bought me when I came here in the states is six years old already, it still look good but hubby bought me one because he found a great deal when he was browsing online last week. The UPS guy delivered it at our front door yesterday and I love it! If you are looking for the best brand of shoes and want to buy 80 20 shoes or buy cordani shoes, the perfect website to check out is Best Brand Shoes. They have different branded shoes that you can choose from at a fair price. Some of their best brands include Adidas, UGG, Born, Clark, Amiana, Charles David and more. If you are fan of Paris Hilton, you can buy paris hilton shoes at the site. They have different styles and designs. Above photos are just some of the ones I like. So if you want to sport a shoe like Paris Hilton does, the selections at Best Brand Shoes are the perfect ones for you. You can also Buy Charles David just like the one below. It's a stylish one to wear on summer. I really like my daughter's school. It is a small community so there's a special bonding between teachers, students, and parents. You can tell how much teacher care for your child when you visit them in the classroom. Ms. Burrito's teacher sent this personal note of thanks to us a couple of weeks ago. I thought that was very special and sweet of her. She even included our son in the note. She knows him when we used to send Ms. Burrito to her classroom. We are going for a little nature trekking friends so I will try to visit back tonight. Here's the yellow roses at my garden. It has a light pink at the end of of its petals. I dunno if it's due to the rain that it's getting some kind of disease around the edges pr some kind of bugs is infecting it. I just love roses, good thing every time I plant one, it lives. I picked up some black raspberries when we visited my SIL. Her raspberries are now starting to ripe. She said that she already have some in the freezer. She makes them into jam and jelly. She also has other fruits in her big backyard like pears, strawberries and cherries. Our apple on the other hand is not doing so well. I don't think it will bear fruit this year because it did not bore flowers. I would like to be able to learn how to make juice out of fresh fruits. I remember last year, my father-in-law and my daughter made some tomato juice using his old timer juicer. I browsed some Popular Juicers online and I found so many different kinds with unique different features. 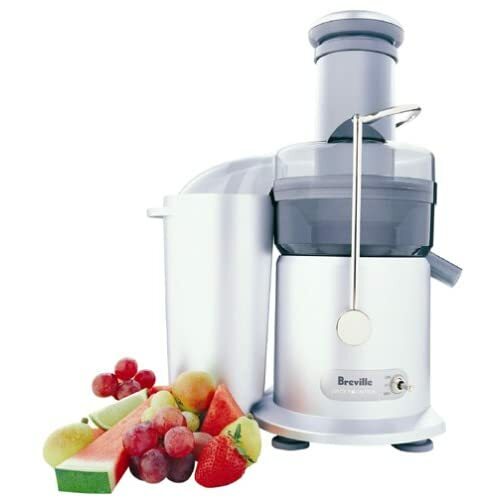 The Breville JE900 is really nice but I think that my favorite one is this Breville JE95XL, a two speed juice fountain plus. It is on sale at Amazon but I can't buy it right now since I don't have budget for it. Maybe next time, besides I still have to learn how. My SIL taught me how to make wilted lettuce yesterday. Yeah I know, some of you might rolled your eyes but I don't have any idea about this kind of stuff so I am trying to explore. At least I am trying to learn here hehehe and I think, that is what's important right? Anyhow, if you guys are looking for a good juicer for this summer or for any season for that matter, just please visit the links I have provided above. I really want to learn how to extract juice from the fruit. Sometime soon, maybe. When you have the resources/gadgets already, I think that it won't be so hard to learn how to do it. Don't you agree? These shots were taken when we went t for a walk last week. The sun was shining bright as it setting down. I love it when the sun is peeking through the view of the woods or clouds. Have a great weekend ahead everyone! If you are looking for an eco-friendly mulch to add in your landscaping project, you might want to consider the rubber mulch. It is made from rubber that are recycled into rubber chunks which gives a pretty color in your yard. I was going to buy this kind but then it wasn't on my price range so I chose a different one. I would like to try it though, maybe some other time when I can afford for it already lol. Your plants will surely pop out when you add rubber mulch which are available in different shades. So you have plenty of selection to choose from. You can definitely get that one that would greatly accentuate your yard. You can check out the different selections at RubbeRecycle website. My husband is planning to call our contractor tomorrow to see what is the timeline they have in renovating our porch. I can't wait till they start because I still have to transfer my roses. I don't want them to start during the time that we are on our getaway as I will lose my roses. Anyhow, I am glad that I am done (for now) transferring my plants from the front to our backyard. I got to do and rearrange our stuff inside the house. We are planning to have a BBQ on my daughter's birthday so I have to clean, clean, and clean hahaha. Good night everyone! The color of the clematis I have in my garden is bluish purple. Below is a photo of it. I'd love to have other colors like this one that both my SILs Chris and Jill have. Every time the kids wants to do some crafts, Dollar Tree is our store. Their products are not that high quality but it's worth for the kids enjoyment. They have many neat stuff that you can buy for a buck. I bought this cold pack that is fish in shape and Mr. Burrito asks for it every time he gets a shiner from playing lol. I did not buy the styrofoam products but I thought of taking pictures because they're very colorful. I have just posted in my main blog the outcome of my gardening project. I bought a bag of mulch the other day to finish off the looks of the new flower bed I have in our back yard. You can check it out at my main blog if you have time. Adding a landscape mulch can really make a big difference when you want the outcome of your landscaping project to pop out. I used the red mulch on mine because it goes well with the bricks I used on the other flower beds. I love to sit in our porch swing every morning and just watch the birds enjoying the newly landscaped backyard of our humble abode. It inspires me to browse different garden designs online. If you guys want to see different kinds of mulch that you can use in landscaping your yard, please visit the links I have provided above, it will lead you to Rubber Mulch website. I have seen this beautiful house here in our area and their lawn is beautifully landscape, they used rubber mulch on their garden, it is so pretty! I like the image of thistle when they are old. Even if they look dried out, they still hold a beauty in them. Wild daisies are gorgeous too, in fact I planted some in my backyard hehehe. My husband is anxiously awaiting for the contractor to give us a call. They suppose to start on our porch renovation on the last week of this month. The contractor is suppose to come here before they start to show us a selection of decorative blocks that they have to use for the walls. They also have to pour a new sidewalk and steps as replacement to our old structure that's starts to crumble now. Being as impatient that my husband is, he has been looking at some paving stones and other kinds of blocks, stones, and bricks online. He wants to tell the contractor and show it to him if he comes. He found this drivesett tegula walling at Wickes online. We both like it as it will blends in with the color of the brick of our home. I can't wait for it to get started either, that's one main reason why I have been busy lately transferring all my plants in front into our backyard because I did not want it to get destroyed. Now that I am 99% done, I am ready for them to start. Anyhow, if you are looking for any paving stones for your home or driveway, the above mentioned website have so many selections of it. June 20 is West Virginia Day. Below is a map of the state of WV, we live in a small city of Weirton. I am so glad that the water problem here in Weirton was already resolved! It's the worse feeling when you do not have water. God always provides though, it rained the whole week while we did not have water. So we saved rain water to use in our comfort rooms/rest rooms/bathrooms. Have a safe and lovely day everyone! I gotcha! I am not talking about the movie but the the present from SIL on my birthday hehehe. Thanks a lot Chris! It's a great addition to Ms. Burrito's plants/planter. Have a safe weekend everyone!